Issa, Ali. (2015). Against All Odds: Voices of Popular Struggle in Iraq. Washington, DC: Tadween. Behrens-Abouseif. (1905). Beauty in Arabic Culture. Marcus Wiener Publishers. Freedberg, David. (1991). The Power of Images: Studies in the History and Theory of Response. University of Chicago Press. Elias, Jamal. (2012). Aisha’s Cushion. Harvard University Press. Hawting, G.R. (2006). The Idea of Idolatry and the Emergence of Islam. Cambridge University Press. Mitchell, W.J.T. (1987). Iconology: Image, Text, Ideology. University Of Chicago Press. Morgan, David. (2005). The Sacred Gaze: Religious Visual Culture in Theory and Practice. University of California Press. Renard, John. (1998). Windows on the House of Islam: Muslim Sources on Spirituality and Religious Life. University of California. Tabbaa, Yasser. (2002). The Transformation of Islamic Art during the Sunni Revival. University of Washington Press. Winegar, Jessica. (2006). Creative Reckonings: The Politics of Art and Culture in Contemporary Egypt, Stanford University Press. Ahmed, Leila. (1992). Women and Gender in Islam. Yale University Press. al-Shaykh, Hanan. (1992). 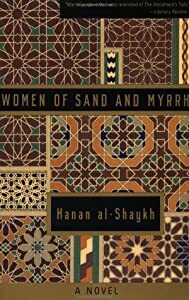 Women of Sand and Myrrh. Anchor. Baron, Beth. (2005). Egypt as Woman: Nationalism, Gender and Politics. University of California. Göçek, Fatma Müge and Shiva Balaghi, eds. (1994). Reconstructing Gender in the Middle East. Columbia University Press. Hammami, R and M. Rieker. “Feminist Orientalism and Orientalist Marxism,” New Left Review, pp. 93-106. Hambly, Gavin. “Becoming Visible: Medieval Islamic Women in Historiography and History,” in Women in the Medieval Islamic World, pp. 3-27. Mernissi, Fatima. (1992). The Veil and the Male Elite: A Feminist Interpretation of Women’s Rights in Islam. Basic Books. Mir-Hosseini, Ziba. (1999). Islam and Gender. Princeton University Press. Moallem, Minoo. (2005). Between Warrior Brother and Veiled Sister: Islamic Fundamentalism and The Politics of Patriarchy in Iran. University of California Press. Najmabadi, Afsaneh. (2005). Women with Mustaches and Men without Beards: Gender and Sexual Anxieties of Iranian Modernity. University of California Press. Pakzad, Sima. (1994). “The Legal Status of Women in the Family in Iran.” In In the Eye of the Storm, edited by Mahnaz Afkhami and Erika Friedl. Syracuse: Syracuse University Press, pp. 169-179. Peirce, Leslie. (1993). The Imperial Harem: Women and Sovereignty in the Ottoman Empire. Oxford University Press. Talapede, Chandra Mohanty. (1991). “Under Western Eyes: Feminist Scholarship and Colonial Discourse.” In Third World Women and the Politics of Feminism, edited by C. Mohanty, et. al. Bloomington: Indiana University Press, pp. 51-80. Zuhur, S. (1992). Revealing Reveiling: Islamist Gender Ideology in Contemporary Egypt. State University of New York Press. Bulliet, Richard. (1995) Islam: The View from the Edge. Columbia University Press. Elias, Jamal. (2010). Key Themes for the Study of Islam. Oneworld Publications.